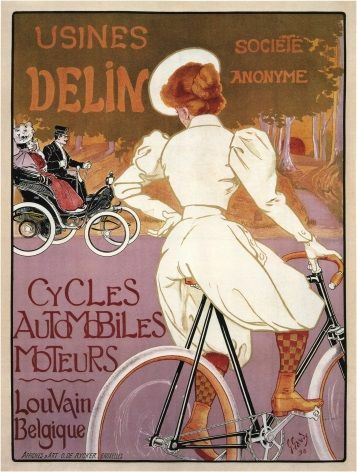 This vintage French poster shows an elegantly dressed lady on a bicycle. 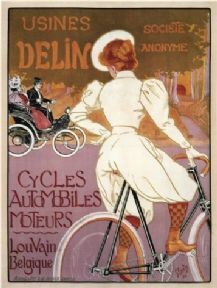 The text on the poster reads, Usines Delin. This poster was designed by Georges Gaudy.